This is Jack Dykes, Superyacht Cadet. His older brother Matthew is further through the Cadetship, because although they researched and found UKSA together, frustratingly for Jack he had to wait until he was old enough to come onboard! Jack, 18, said: “UKSA is bigger than I expected, not physically but in the type of people who come here. You can be chatting to captains in the bar who come back here to learn their stuff and you realise what a big deal it is to be part of it. Eventually, I’d like to end up as captain of a superyacht but I’m not in any hurry to get there as I want to enjoy my career at each stage going upwards. Why did you choose the cadetship? 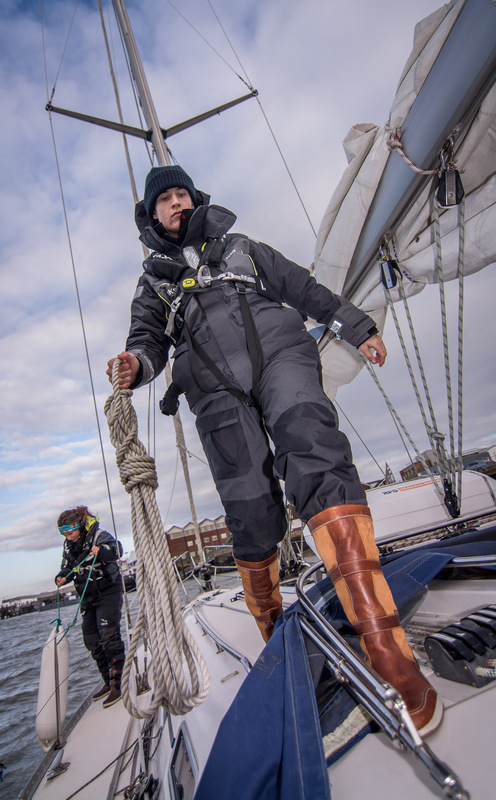 I chose the Cadetship as everything you need is in the one course, and when you go out into the industry it gives you an advantage having come from UKSA.” Jack received funding from Trinity House. He said: “The funding allowed me to do the course and I would not be here today without it. This is Toby MacDonald out on a sea phase. He was fortunate enough to get funding from Seafarers UK and the Milo Hanlon Bursary to secure a place on the Superyacht Cadetship. He said: “I really needed the funding to be able to do it and I’m really grateful to Seafarers and the Milo Hanlon Bursary as I wouldn’t be here if it wasn’t for them. Now I’m funded there’s a lot of pressure to do well, and the course is full-on, but it’s a good way of preparing for working in a busy industry. 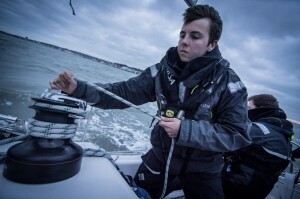 My ultimate goal is to work up to be a captain.” As part of his cadetship, Toby will do an FdSc foundation degree in Operational Yacht Science at Falmouth Marine School.